Funeral services will be 1 P.M. Wednesday officiated by Rev. Robert Quaintance at the Fox Funeral Home, for Dolores A. Guerriero, 85 of Youngstown who passed away peacefully Friday evening at her home. Dolores was born July 18, 1933, in Youngstown, a daughter of Deal and Della Rogers Wardle. She attended South High School and was a devoted homemaker and baby sitter. 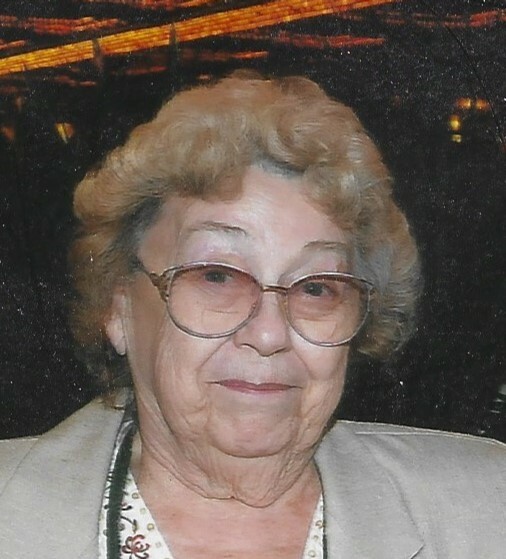 She was a former member of Emanuel Lutheran Church, and loved spending time with her family, gardening and playing cards. Dolores leaves to cherish her memory, her husband John H. Guerriero, whom she married July 14, 1951, children John R (Jane) Guerriero, Rodney A. Guerriero, Robert B. Guerriero, Michael J. (Roberta) Guerriero and Michele L. Horn, a brother John Wardle, three grandchildren and five great grandchildren. Besides her parents, Dolores is preceded in death by her sisters Betty Barnhart and Lois and a brother Ken Wardle. Friends may call from 11 to1 P.M. Wednesday at the Fox Funeral Home, Boardman.